Thomas Super Station Playset Just $74.99! Down From $100! PLUS FREE Shipping! 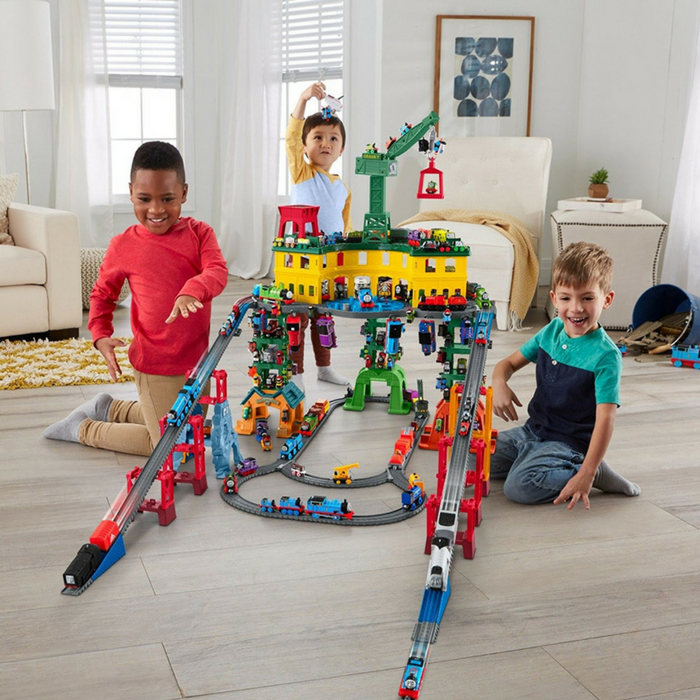 You are here: Home / Great Deals / Amazon Deals / Thomas Super Station Playset Just $74.99! Down From $100! PLUS FREE Shipping! Hop over to Amazon to score this Thomas Super Station Playset for just $74.99 down from $99.99 PLUS FREE shipping! This is the best price ever! Now, for the first time ever you can Set Friendship in Motion and play with your Thomas & Friends Adventures, TrackMaster, MINIS and Wooden Railway engines all in the same set! The Thomas & Friends Super Station features tracks that work with all these systems. Layouts can be changed to fit any space, and the set’s height and width makes it effortless for for children to come together and play with siblings and friends. It comes with Thomas (TrackMaster), Percy (Thomas & Friends Adventures), James (MINIS) and Harold. Best of all, with this set, children can also use any engines they already have. The set also holds over 100 engines. It’s the ultimate Thomas & Friends track set!